Microsoft's Phil Spencer took the stage toward the end of the company's E3 2013 press conference to discuss some important new Xbox One titles. He revealed that Microsoft is investing in five development studios to create unique triple-A games for Xbox One. A teaser trailer from Vancouver studio Black Tusk was shown off, with a black-clad spy rappelling down the side of a building, but with no hint of a name for the title. Next a trailer showing a robed figure walking through a desert with stones floating in the atmosphere as a colossal winged construction rose out of the sand. The figure turned out to be the Master Chief, and Halo developer 343 Studios to discuss a new game in the important series. They never called it Halo 5, though, leaving an air of mystery. 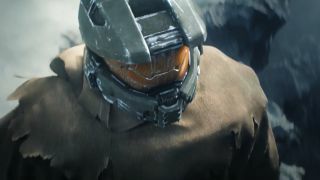 The next-gen Halo game will take full advantage of the Xbox One's features, like cloud computing, and will run at a full 60 frames per second. It will arrive in 2014. Though Halo is Microsoft's biggest star, the company also showed off a whole host of other new Xbox One games, including Metal Gear Solid 5, Forza Motorsport 5, Killer Instinct, Dead Rising 3, and many more. It also discussed new SmartGlass features and the integration of Twitch to allow players to broadcast gameplay live right from the Xbox One. This is just the beginning for E3 2013, so stay tuned to TechRadar as we discuss the big announcements and hit the show floor throughout the week.